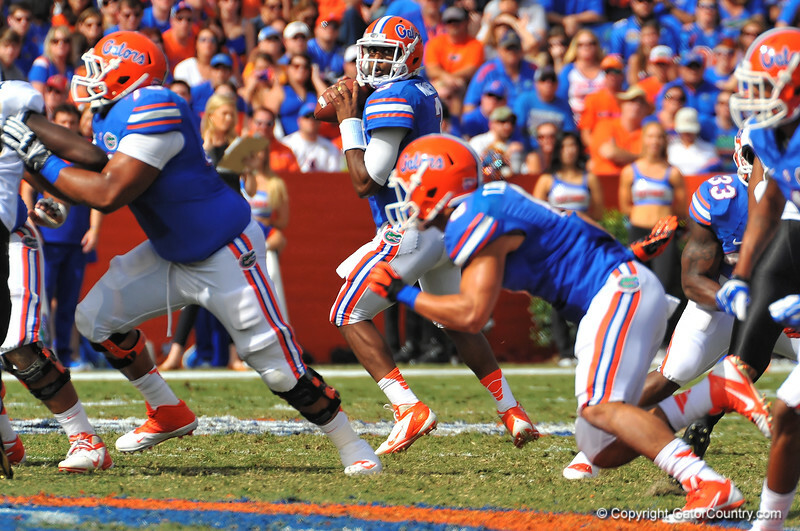 Florida Gator QB Tyler Murphy looks across the middle for a cutting Trey Burton. Florida Gators vs Vanderbilt Commodores. Gainesville, FL. November 9, 2013.